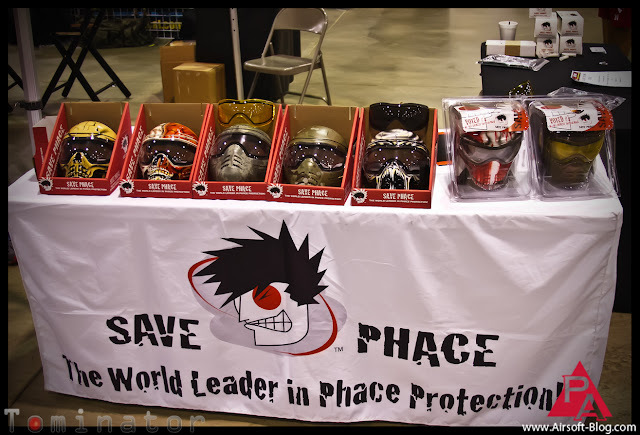 While chillin' at the John Lu's 2012 U.S. Airsoft Expo in Columbus, Ohio a couple weeks ago, I stopped by the Save Phace booth to chat with my buddy, Brandon Berkey, about their awesome Airsoft masks. I will be honest when I say that I've not gotten excited about a full Airsoft face mask in years because of the problems I've had with fogging. I get very hot and very sweaty when it comes to playing Airsoft, but when Brandon demonstrated how their dual-pane thermal lens prevents pretty much any hint of fogging, my mind was officially blown. So much so that I'm giving serious consideration to repping one of their masks. Probably one custom made with my ugly face printed on the front, just to throw off the OPFOR. Rest assured, I'll throw up a review of any mask I get my hands on so that you can see the true performance of it, but for now, just enjoy the video, which happens to feature yet another unscheduled appearance from CrazyNCman. If you're done browsing here on the Pyramyd Airsoft Blog, would you mind sharing this blog with friends on Facebook? 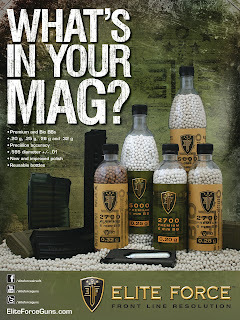 Perhaps even on your favorite Airsoft forum? 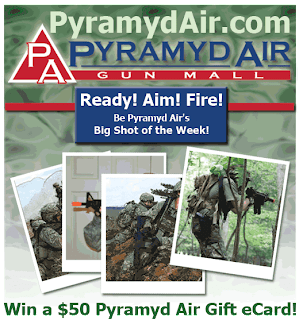 Speaking of Facebook, check out our new Facebook page for Pyramyd Airsoft and get in on a chance EVERY WEEK to WIN FIFTY BUCKS ($50) or check out our Pyramyd Airsoft YouTube Channel for a ton of great Airsoft video reviews, unboxing videos and actual Airsoft gun performance tests.